"Help Me To Think By Myself"
The Lower Elementary Program is equivalent to 1st through 3rd grade. Dr. Montessori observed that elementary children typically are characterized by their reasoning minds, their ability to abstract and imagine, and their passion for research and exploration. 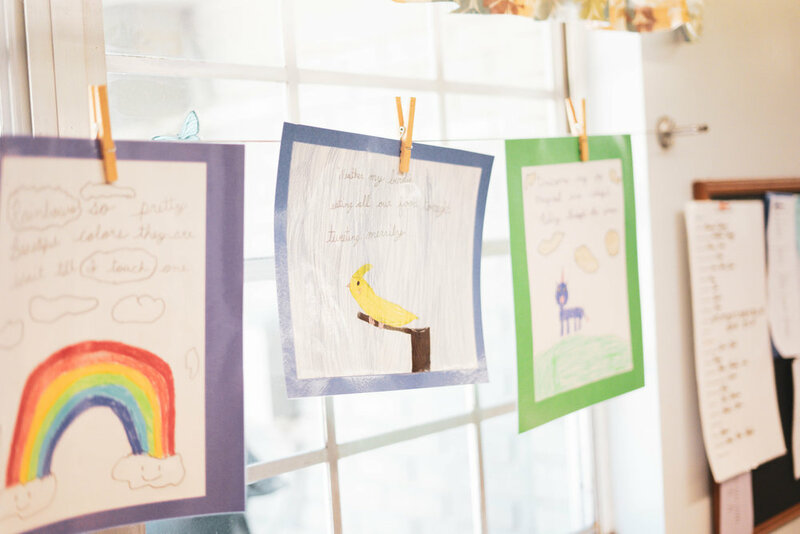 The Montessori elementary program is designed to encourage children to wonder, work, explore, and develop their interests with guidance from trained Montessori teachers. In a research style of learning, elementary children work in small groups on a variety of projects, using concrete materials and their reasoning mind, to develop skills they will one day need to become productive members of society. 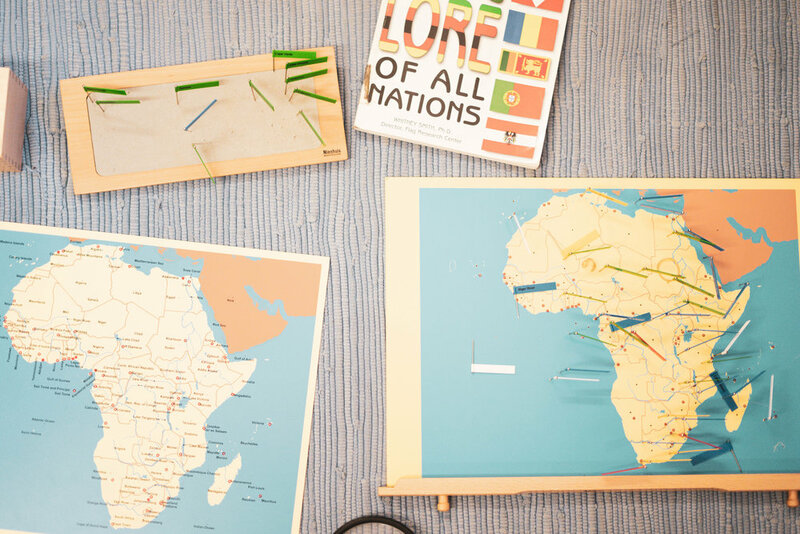 Elementary studies stress the relationship and importance of geography, biology, history, language, mathematics, music, art, physical education, animal care, and gardening to everyday life. These studies may open the door to life long pursuits. Exploration of each area is also encouraged through “going out” trips outside the classroom to speak with experts, visit local museums, libraries, etc., and attend the theater or the symphony, enhancing the children’s understanding about the subject matter and the community in which they live. 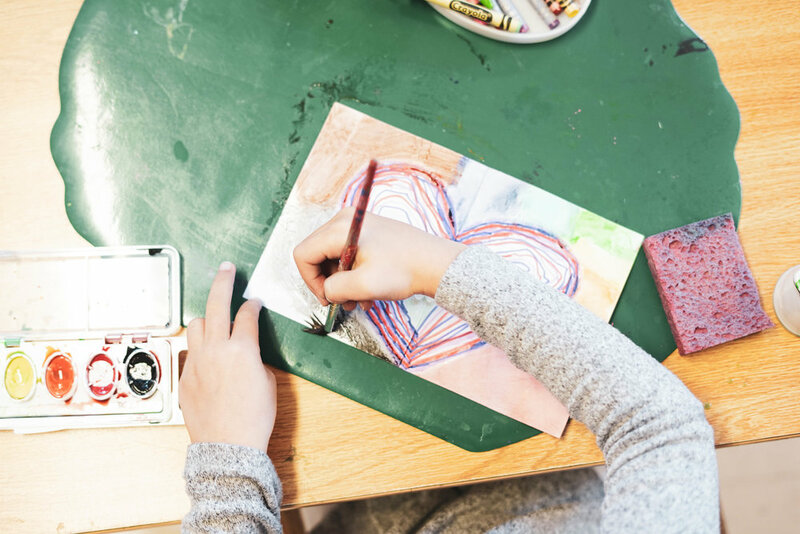 This interdisciplinary approach to education fosters a feeling of being connected to all humanity, past and present, and encourages children’s natural desire to make contributions to the world. The ultimate goal of the Elementary Program is to develop the students’ abilities and self confidence so that they are well prepared for further academic challenges and are able to take charge of their own learning in order to become cooperative, contributing members of society. At CMS, children will acquire the essential characteristics of becoming independent, responsible individuals who are prepared to take on life’s challenges and opportunities with courtesy and respect toward others. As in the preschool, elementary level Montessori materials are a means to an end. They are intended to evoke the imagination, to aid abstraction, to generate a world view about the human task and purpose. The child works within a philosophical system asking questions about the origins of the universe, the nature of life, people and their differences, and so on. On a factual basis, interdisciplinary studies combine geological, biological and anthropological science in the study of natural history and world ecology.